We are a small plastering firm operating in and around the Southampton area. 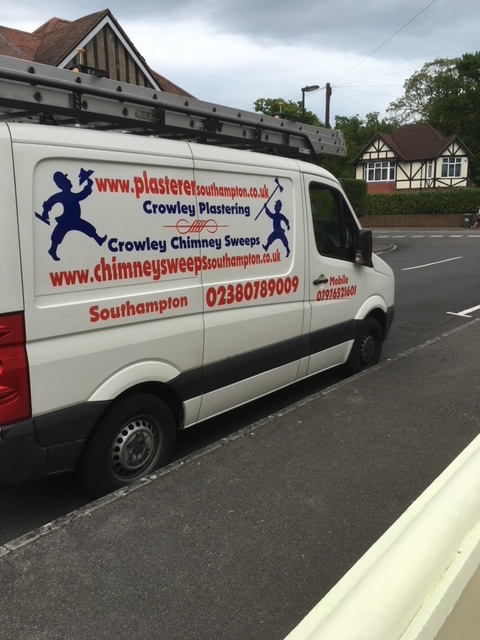 Crowley Plastering, established over 25 years ago, is a small plastering company based in Southampton. Our two local plasterers have helped many customers from Eastleigh, Romsey, Winchester, Lyndhurst, Hedge End, Totton, Shirley, Bassett, Ashurst and Southampton. No plastering job is too large or small - skimming walls, dry lining, rendering, overboarding ceilings and plastering over artex. Crowley Plastering is fully insured with both public and employment liability insurance, giving you peace of mind and a 100% service guarantee. The products and materials we use in our plastering work are of the highest quality. We pride ourselves on providing a friendly and professional service - always ensuring we leave a clean and tidy job. Want to discuss your plastering requirements or would like some advice from a local plasterer and want an idea of costings, give us a call NOW. Free Advice and quotations - no obligation to proceed. We look forward very much to hearing from you and working with you.